Here’s what’s happening in the world of television for Tuesday, May 15. All times are Eastern. 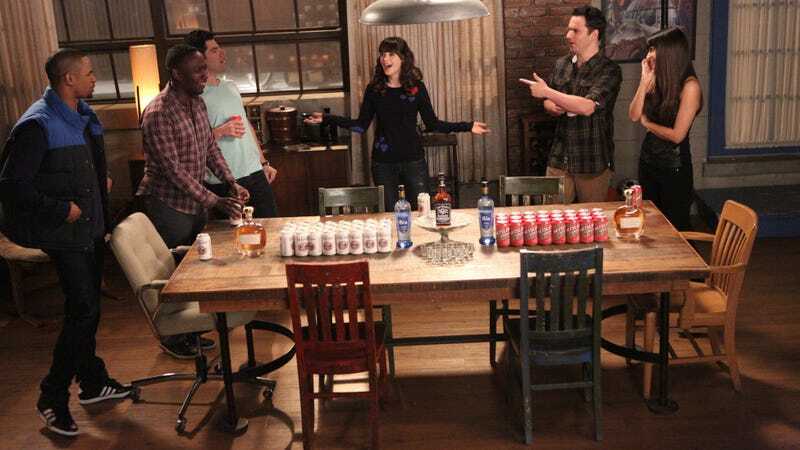 New Girl (Fox, 9 p.m.): At the risk of compounding your grief over the other Fox sitcoms that got the boot last week, tonight, we bid farewell to New Girl, the humble hangout comedy that gave us a seven-season look at the intense, often demented dimensions of friendship, the type of bonds that can generate multiple deranged aliases, “gave me cookie, got you cookie,” and the most hilariously confounding drinking game ever put onscreen. Tonight’s two-part series finale features one final round of True American, a prelude to the Bishop-Nelson nuptials and some big leaps for Jess and Nick. Emily L. Stephens reminds you 1) to drink responsibly, and 2) that the floor is lava. Black-ish (ABC, 9 p.m.): While one sitcom marriage is sealed on Fox, another continues to unravel on ABC, as Black-ish continues its recent descent into romantic strife and the fourth season with the Johnsons split between households.